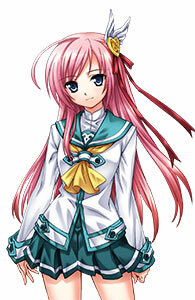 Midorishita Yumina is a junior at the prestigious Jinbu Academy. Far from being a model student, Yumina skirts the precarious line between barely passing and failing hard. One day, a young man named Akashima Ayumu transfers into her class. Ayumu claims to have been sent by his father, an eccentric and possibly delusional man who ordered Ayumu to find and protect Yumina, whom he believes will one day save the universe. Ayumu and Yumina are at odds from the moment they first meet. They bicker endlessly, day after day, until finally Yumina goes too far and starts a fight just before a critical test. Her failure dooms her to repeat the year. But just when it seems all hope is lost, a mysterious girl named Kurokawa Kirara appears and invites Yumina to run for Student Council President. According to Kirara, whoever wins an Election War and becomes President will have the power to change any school rule he or she likes. Realizing that this is her only hope of becoming a senior, Yumina agrees to join the race, and drags Ayumu along for the ride! Thus begins an epic tale of love and friendship in which youthful passions run high and debates shake the foundation of the heavens. From the team that designed Aselia the Eternal, Yumina the Ethereal is a challenging RPG where you must build your party and manage your skills effectively to defeat your enemies and save the universe. It features an epic science-fiction story with five endings, hundreds of levels of dungeon-crawling action, and a staggering array of items and skills to collect. ANd of course, there's also plenty of adult content with eight cute girls. The hero. A young man doomed to clean up Yumina's messes. 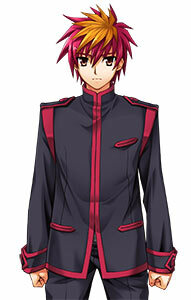 After joining the Debate Club together with Yumina, he finds himself the club's errand boy - scouting opponents, guarding the candidate, and generally doing whatever Kirara tells him to. Little did Ayumu know that he would first have to save Yumina from her own bad grades. The main heroine. Due to a failed test and a history of bad grades, she will have to repeat the second year unless she can become student council president, a position that comes with the power to change any school rule. Will she ever make it to third year? 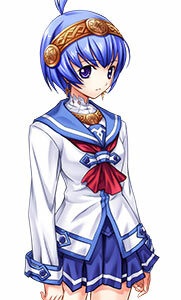 The mastermind behind Yumina's candidacy. She clearly has her own reasons for supporting Yumina, but she's not about to reveal them. Her diminutive figure belies a powerful ego, and she often uses cunning ploys and underhanded tricks to lead the Debate Club to victory. 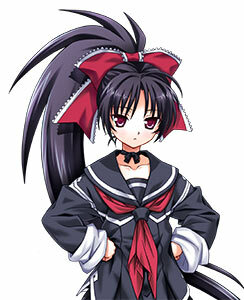 An eccentric girl who transfers to Jinbu Academy shortly after the Election War begins. Despite her spotless record and glowing letters of recommendation, she decides to join the underdogs of the Debate Club. She claims to be an average girl born, but it is obvious from the things she does that there's something very off about her. 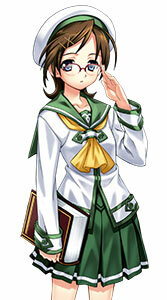 A shy, mild-mannered girl who loves to read books and take care of the school library. At Jinbu Academy, where athletics are king, culture clubs like the Library Committee occupy the bottom of the social pecking order. Even so, Maino works hard to make the voices of the minority heard across campus. 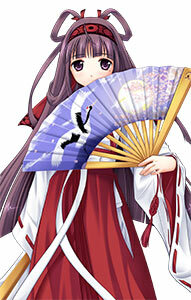 A second-year student at Jinbu Academy, Tsukuyo is the quiet and mysterious chairwoman of the Shrine Maiden Committee. She is rarely seen out in public, instead spending most of her time in the committee's shrine. Has many zealous worshippers even outside the committee. Applies fixes to both the downloadable version and disc version of Yumina the Ethereal. Go from debate team ace to savior of the universe in this romantic sci-fi RPG. Features hundreds of hours of dungeon-crawling gameplay!